We specialise is Wedding bookings and offer a complete and broad range of musical services encompassing the wedding ceremony, post (or pre) wedding drinks, the wedding breakfast and the evening reception. We can easily cater for parties up to 600 guests and use a professional 1400w PA System . Our light rig can also provide a wonderful display and includes the KAM LED Parbar, various patterned LED disco lights, smoke and bubble machines. 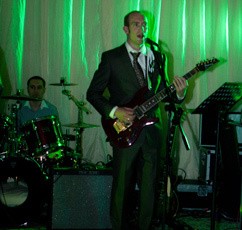 Whether you are planning a Corporate Event, Office Party or University Ball The Abyss Function Band will have a tailored professional package to suit your needs. Welcome to the home of The Abyss Function Band. 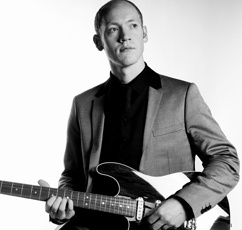 Here you can find information about The Abyss Wedding & Function Band's Services in Norwich, Norfolk, East Anglia and the surrounding areas. The Abyss Function Band are a lively three piece wedding band, based in Norwich, who perform a mixture of repertoire ranging from the swinging 60s right up to present day classics (please see our Band Song List for full details). 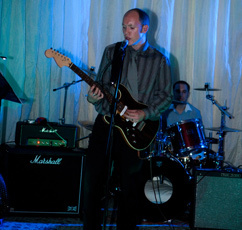 The Abyss Wedding & Function Band specialise in offering a complete range of entertainment and prices for your Wedding, Party or Corporate Function and can provide a broad range of music for ceremonies, wedding drinks and meals as well as providing music for evening receptions and parties! Hi again, thanks for visiting the website. The band are busy booking up gigs for late 2019 and 2020 but we have some unexpected availability in June/July 2019. Let Greg know if are looking for some last minute entertainment for this Summer's event!